By using the TurfRoller TR5000 for laying of artificial turf the user will benefit from a considerably reduced workload because this device makes the transport and laying of turf rolls very easy. Traditionally, artificial turf track installation is characterized as labour-intensive, and energy- and time-consuming. In contrast, the reasonable construction of the TurfRoller TR5000 allows a precise positioning and rolling out of a turf roll making a subsequent adjustment nearly unnecessary. 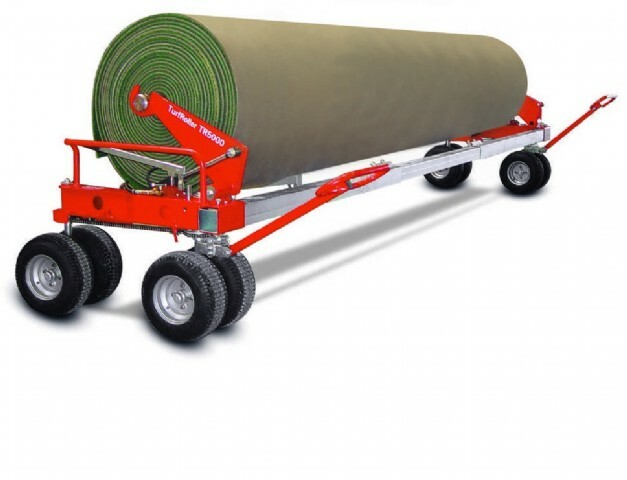 The TurfRoller TR5000 is able to easily lay artificial turf rolls of up to 5 m wide. 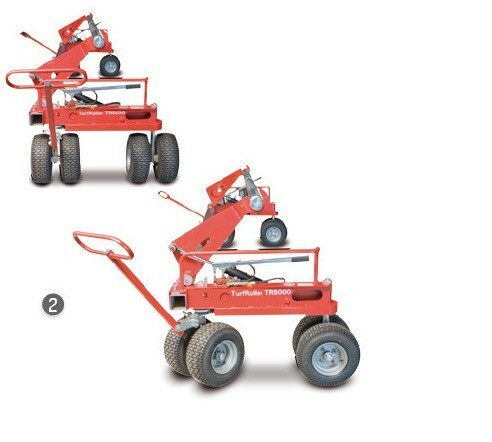 TurfRoller TR5000 consists of two carts. Each cart is equipped with two steerable double pneumatic tires being steered by a drawbar. The minimal surface pressure on the subbase is guaranteed and thus the transport on unbounded elastic layers is an e ffortless business. With this clever steering mechanism, TR5000 is variable and precise to manoeuvre in all directions.